The roots of the B-26 Counter Insurgency program really start with the Cuban Bay of Pigs fiasco in 1961 when the CIA provided B-26s to Cuban Exiles. The training took place in Central America and the aircraft were marked as Cuban to give the impression that the coup against Castro had started an invasion. About the same time period as the Cuban mess, the CIA became more involved in Laos. In an attempt to prevent Communist Pathet Lao takeover, approximately twenty B-26s were sent to Laos with crews provided by recently discharged US military personnel under CIA employment. These aircraft were from stocks held at Davis-Monthan AFB and had been slated for scrapping. These CIA operated aircraft carried no external markings at all. As the situation in Laos went south, the situation in Vietnam continued to worsen as well. The difference was that while Laos was a covert CIA operation, Vietnam was an USAF campaign. In the fall of 1961 another twenty-seven B-26s were withdrawn from storage and sent to Hill AFB for refurbishment. Initially there was an attempt to give the impression that it was a South Vietnamese effort and the aircraft carried SVNAF insignia with the USAF serial numbers still shown on the tail. The B-26 was clearly effective in this close support, anti-insurgency type of war, but the number of usable airframes was very limited. Production had stopped at the end of World War II, and the surviving aircraft had seen hard us by USAF, Air National Guard and foreign users. Most of the aircraft in storage were slated for scrap. After an in-depth evaluation it was clear that the remanufacture/rebuild of the B-26 would provide a very cost effective counter insurgency aircraft. On Mark Engineering Company of Van Nuys, CA had been rebuilding and converting surplus B-26s into executive transports since 1954 and were the exclusive licensee of Douglas Aircraft for spare parts for the B-26. At that time there were still a considerable number of active USAF and Air Guard B-26 operators and On Mark was a government approved repair agency for the type. When the decision was made to upgrade the B-26 for COIN missions, it did not take long for the On Mark Company to step up to the task. The work started in 1962 and would incorporate several of the On Mark updates as well as some specified by the USAF. 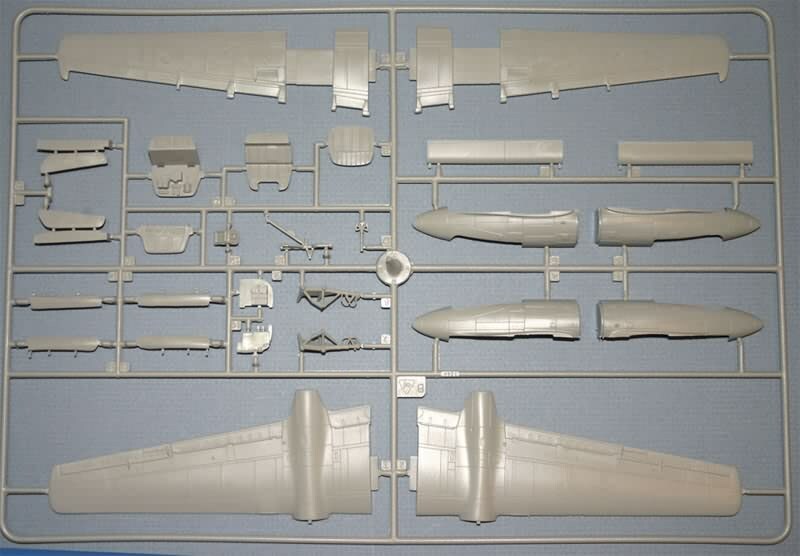 The following items were some of the more significant and visible items included in the On Mark B-26K work. · Landing Gear strengthened and KC-135 wheels and brakes used. · Gun armament was standardized with an eight gun nose. 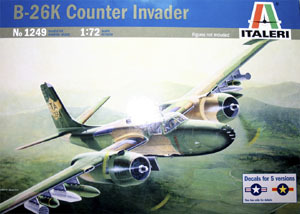 The B-26Ks were initially delivered in glossy Green over Grey paint scheme, but this quickly changed to the two Greens and Tan over light Grey or Black. National insignia was either totally eliminated for those operating in Thailand, or made very small and in Black. The CIA had its hands in covert operations all over the world at this time and the situation in Africa required that the fifth, sixth and seventh B-26Ks off the On Mark line be sent to the Congo to be operated by a small CIA covert Air Force. All of the remaining total production run of 40 aircraft eventually were delivered to the USAF at either Hurlburt Field, in Florida or Howard AFB in Panama. Eight eventually were sent to Thailand in the spring of 1966. Upon arrival in Thailand the Thai government expressed reluctance approving the basing of “bombers” in their country. The political answer was to rename the B-26K to A-26K. These eight Counter Invaders operated from Nakhon Phanom in Thailand from May, 1966 until November, 1969. At that time the survivors were flown to Clark in the Philippines for disposition. Five were sent to Nha Trang AB in South Vietnam as training airframes, and the rest were returned to Davis-Monthan AFB for storage and disposal. 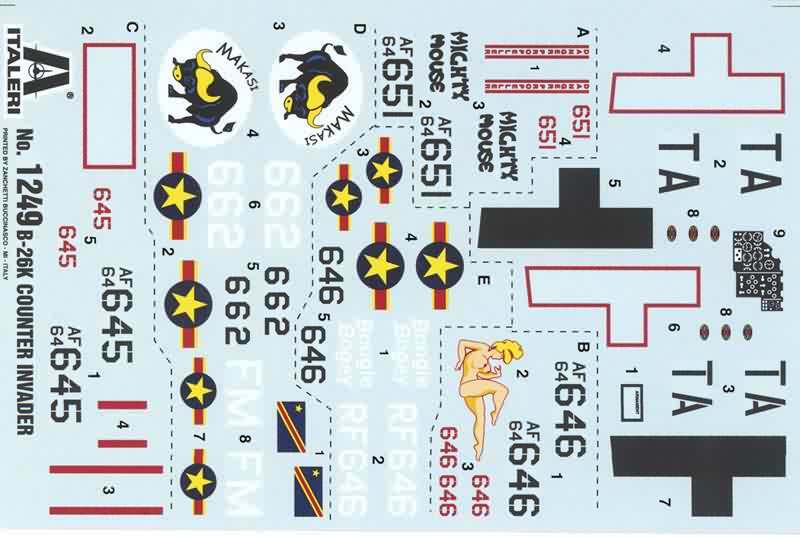 The B-26 Invader was used by so many different countries in a whole bunch of wars or “local” conflicts that it is hard for me to understand why until now the only 1/72nd kit was the now ancient Airfix offering. When the rumor of a new Invader started a year or two ago I started thinking about the various versions I would like to do with a new kit. Italeri has a reputation of being rather inconsistent with accuracy and quality at times so I tried to temper my expectations. Well after a long wait the plastic has arrived. It was a long trip! From Italy to Japan, then to my front door. Not sure why the US has not received any as of this writing, but here it is. The contents of the kit are about as good as anything I have ever seen in an Italeri box. Gone is the sometimes rather heavy scribing. It has been replaced with as fine and clean lines as I have seen on any of the latest releases from other companies. The fabric on the ailerons is very subtle and convincing. I like the way the top and bottom of the wings are joined. The trailing edge joint is at the leading edge of the flaps and ailerons rather than the trailing edge of the wing. This allows thinner trailing edges and generally easier clean up. One thing is apparent after only a few minutes playing with the parts. Italeri expects to do more than one version of this kit. There are several little hints scattered throughout the parts. First clue was the presence of the six wing guns. The On Mark production B-26K had these guns deleted. Another clue is the cockpit layout. 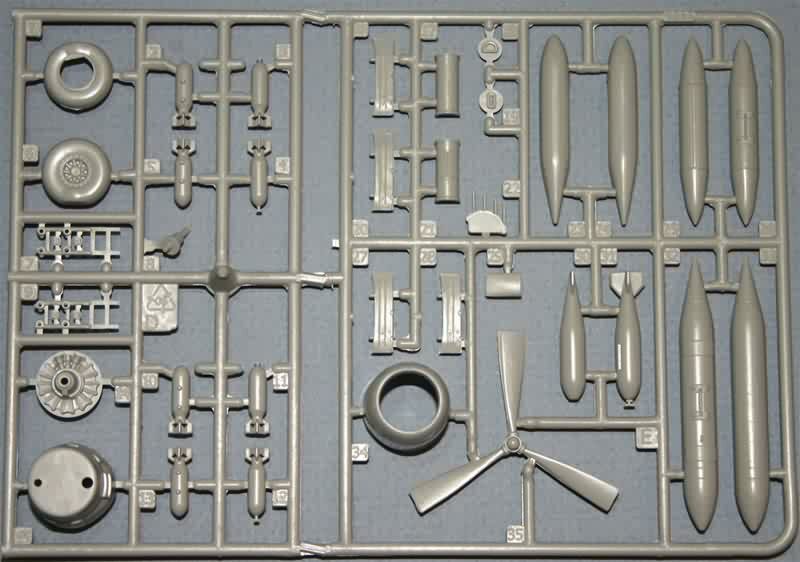 The kit uses a configuration more accurate for the glass nosed B-26C. 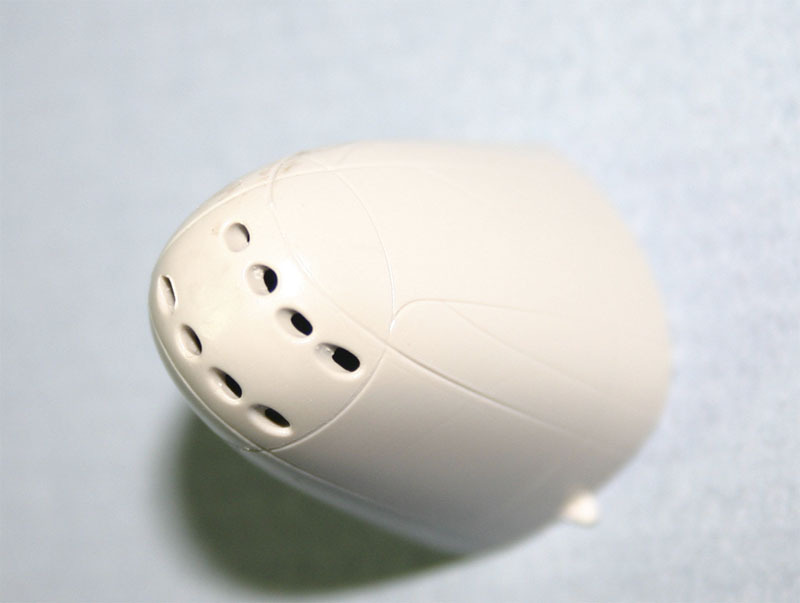 It has a single pilot on the left with a simple bicycle type seat for the bombardier on the right side, with a crawl way into the nose compartment. As mentioned above, the Counter Invader had a dual control cockpit with two identical seats for the pilot and co-pilot. Is this a major item? No probably not, but cockpit revisions are a bit more difficult than the usual filling and sanding, so it could be a bit more difficult than it should have been. Another right instrument panel and seat, along with a control column will be needed to make it more accurate. Another tip off is the cockpit tub itself. It goes clear up into the area where the bombardier would sit in the glass nosed C version. The floor in this area is recessed and there is even some side detail. Since a C version is already announced I guess this is a minor point. The inside of the fuselage has details on it all the way back to the rear of the gunner’s compartment. There are bomb racks and open bomb bay doors to show off the ordnance. The bombs included in the kit are box finned 250 lb. bombs. Not particularly appropriate for this bird, but probably pretty accurate for a WW II C model. No less than six internal bulkheads are positioned between the nose and the aft end of the gunner’s compartment. All have nice details and equipment on them. A little careful brush work on these will make for some impressive interior details, but I suspect most will get lost in the building process as there will be little visibility. The areas where the gun turrets were has replacement panels, and no turrets are included in this kit. The eight gun nose is very nicely done and rather than just a slot to stick the guns into they molded a hole for each gun and provide four gun groupings to stick through the holes from the back side prior to assembly. This should make that area look very realistic. The clear parts are nicely done with the metal parts done in a frosted appearance. 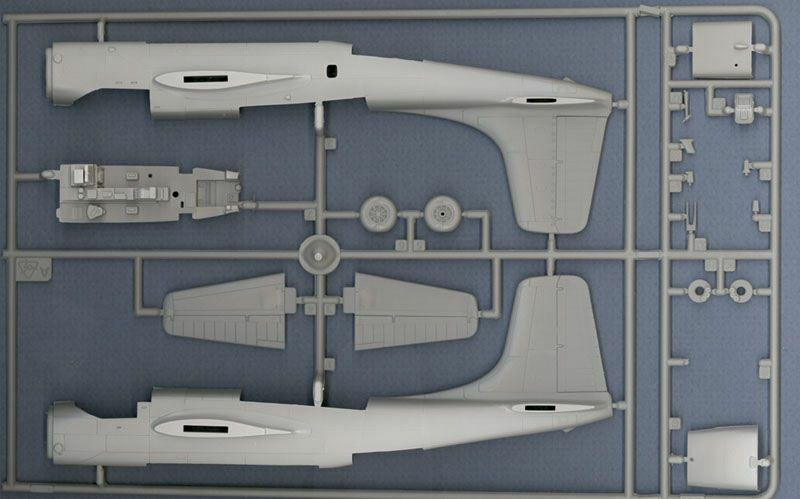 Just looking at the parts, I wonder if the canopy has enough bulge to represent the later raised canopy. The first WW II versions had a heavy framed flat topped canopy that was totally unsatisfactory. After this was replaced with a raised flight deck and the slightly bulged canopy it stayed the same throughout the production of the aircraft. The landing gear is very nicely done and even includes the brake lines. My only concern here is they are very thin and I have to wonder if it will support the model and all the weight it will need to keep it on it’s nose gear. The real airplane always had a reputation for having a weak nose gear. Let’s hope the model is not accurate in this regard. The ordnance under the wings is generally not bad. Not quite as good as the rest of the kit parts, but with a bit of clean up it probably would look fine. There are two wing tanks for the wing tips, a couple more larger tanks that appear to be about the same as those on F-80s or F-94s and smaller ones that probably would represent napalm tanks, then two decent, but not outstanding, M 117 bombs. Last are two LAU 3 2.75 rocket pods. The bird carried a lot of different stuff, so the selection is decent, if not extensive. I was lucky enough to spend some time with the B-26 during my time in the Air Force and liked it a lot. It was a fun airplane to fly even though the birds in 4th Tow squadron were pretty well clapped out by 1958 or so. The mix of versions and configurations seemed almost endless and they were all tired even then. The only thing they seemed to have in common were the pilots seat, control column and rudder peddles all seemed to be in the same place. After that everything else seemed to be random and variable. How the mechanics kept the things flying at all was impressive. I like this kit a lot, and really look forward to other versions. With Italeri’s somewhat inconsistent release record, I wonder how long it will take to release the C version scheduled for next December.